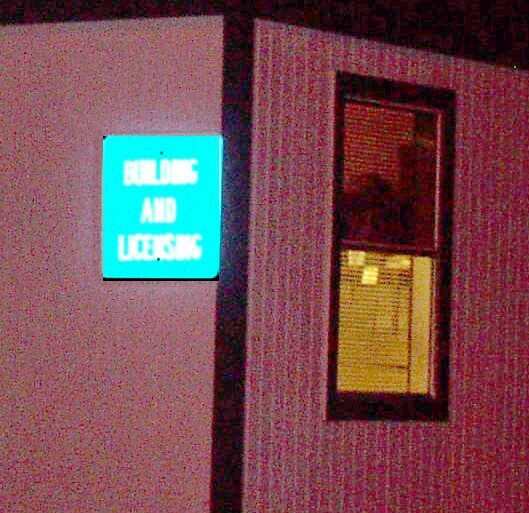 The Building & Licensing pickup truck (below left) was found parked in front of the B&L offices behind the firehouse Saturday night. 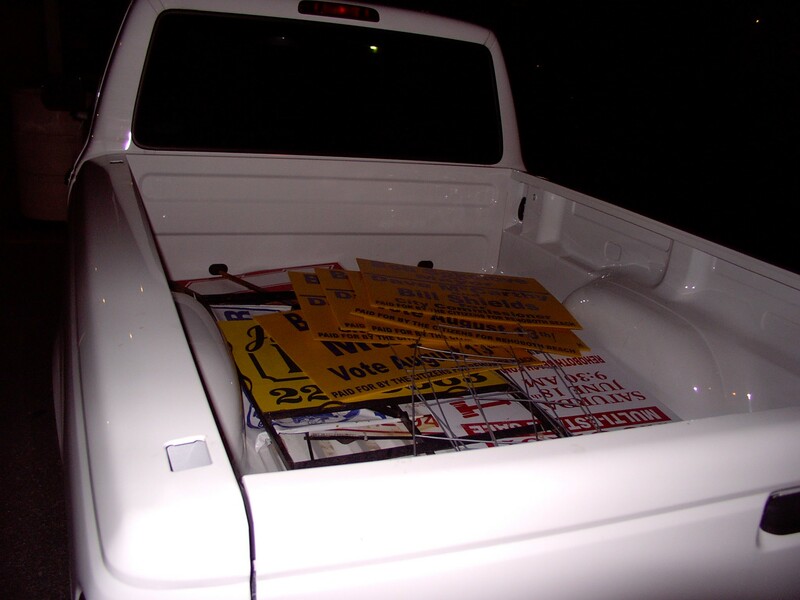 Its engine was warm, and six Sokolove signs were in the payload along with other non-campaign signs that had been removed within the past few weeks. At 10:30 p.m., lights in one of the B&L offices were on as if somebody were inside. The B&L central air conditioner, which runs constantly all weekend in the unoccupied building, was on as well. As the rear of the truck suggests, B&L personnel routinely remove signs found that presumably are not in compliance with the city's sign ordinance. These typically include real estate and signs advertising construction, house repair or painting services. Rehoboth Beach lifeguard T.R. 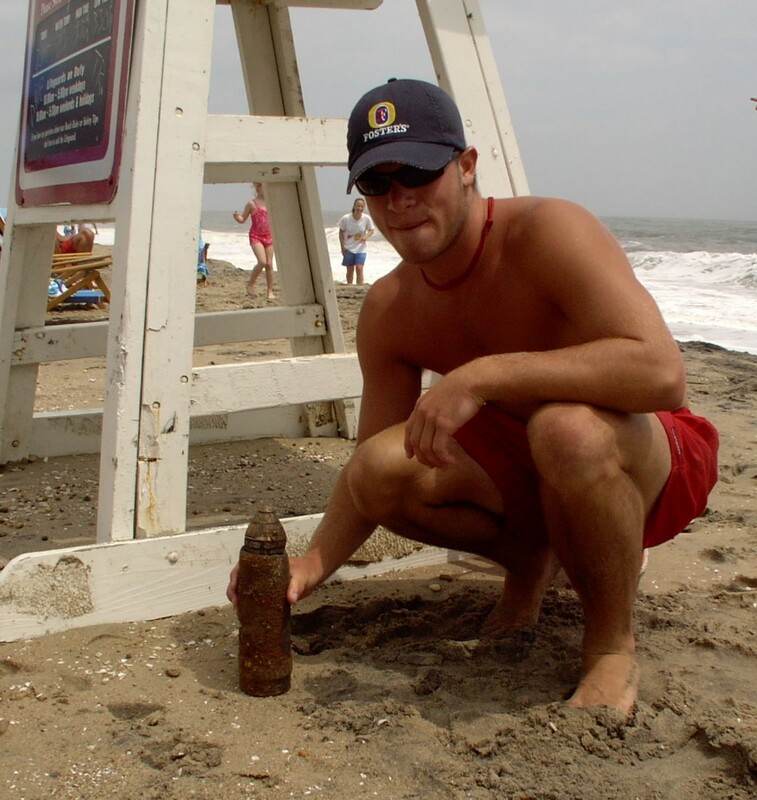 Marshall shows beach goers what the timing device looks like in a World War II-era three-inch projectile. It was discovered near Olive Avenue Friday morning and later turned over to the state police for disposal. It was probably pumped ashore during Rehoboth's recent beach replenishment. Although the shell casing appeared to be filled with sand, the projectile still poses a potential threat. Unlike a bullet, the projectile (that's the part on top) could contain unstable explosives or chemicals. The fuse appears to be intact, and could theoretically detonate the attached charge. The fuse looks like a common combination fuse which means it operates both as a time fuse and/or a contact fuse. 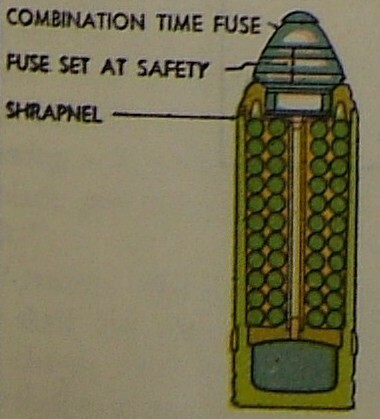 It contains a small high explosive charge such as fulminate of mercury which ignites a larger low explosive booster charge (or gain) which in turn ignites the main charge of black powder or TNT. It was made in this complicated manner to keep the three charges separate, making it safer to handle and fire. On the right is a picture from the 1939 Bluejacket's Manual, the Bible of the U.S. Navy enlisted man. The ordnance found on Olive Avenue looks similar, although it was likely from the early 1940's. The projectile had already been removed and sits loosely on top of its shell (left). Thanks to Zane Gorove, Willard Hardman, and Ray Meketa, a gunner's mate in the Navy during the Korean War, whose specialty was three-inch and five-inch guns. 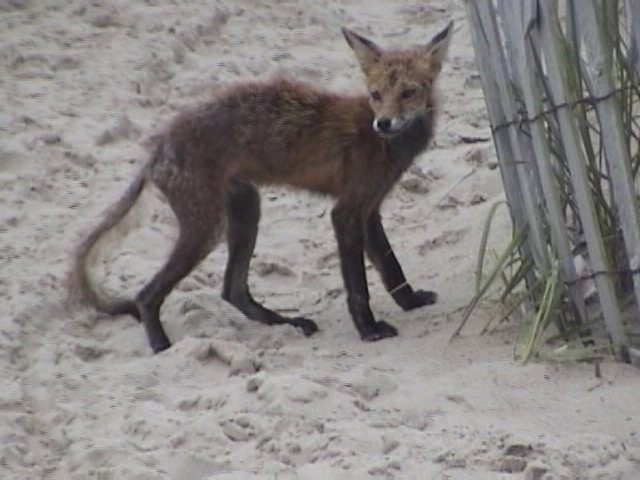 This red fox has been surviving in the Deauville dune area (north Rehoboth Beach). Fox experts consulted say the animal has lost much of its fur which makes it appear skinny. Mange is a chronic skin disease which left untreated will be fatal. 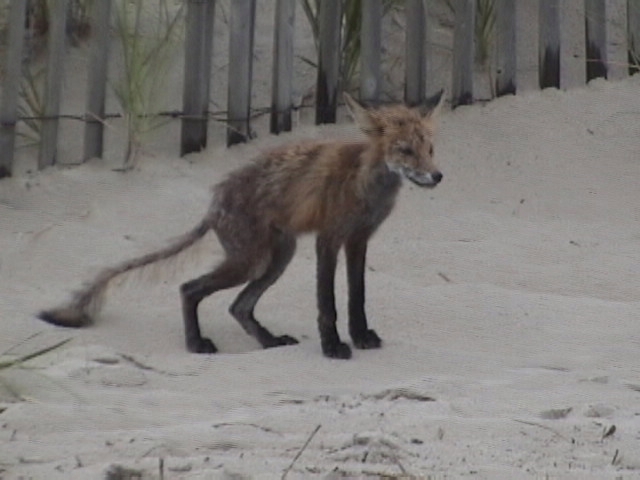 As has happened in prior years, DNREC and the city have so far not made any attempt to address the situation, although wildlife rehabilitators say there may be little they can do to save the fox. These pictures were captured from digital8 video late Friday afternoon.